The following maps are all taken from the OS 25" maps and reduced to a scale of approximately 15 inches to the mile. 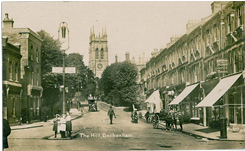 They are extremely detailed, showing individual houses, details such as railway tracks, pathways, pubs, factories and even minutiae such as fountains and signal posts. Obviously they cover quite a small area, normally a mile by a mile and a half each. Each map includes an introduction. For further details click on the links below. These are the detailed maps currently available in the 'London in Kent' area. Information pages are available for each map; simply follow the links. 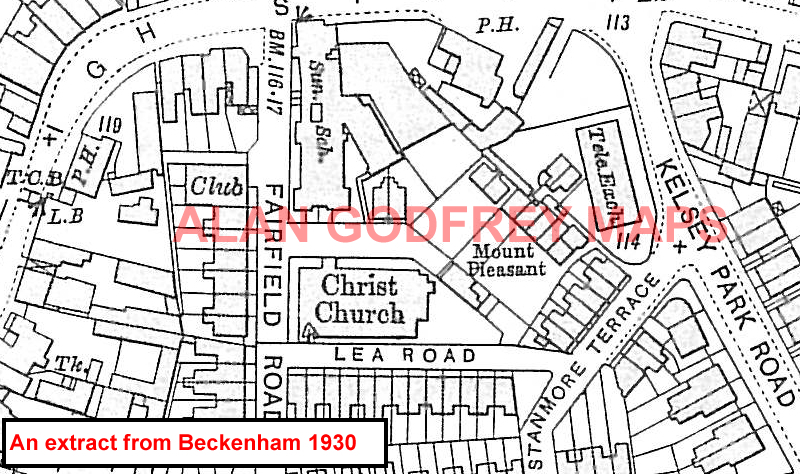 Many other maps for this area, including other maps for Mottingham, Anerley and Beckenham, are in our London Series. Also in the Godfrey Edition, some of our One Inch to the Mile maps cover part of the county. See the One Inch page for further details of this series. The principal 'One Inch' maps for the county, together with other maps in today's County of Kent, are listed on this page.